Back in 2014, Samsung unveiled the Simband, a reference wearable that was packed with sensors. It was never intended to go on sale to consumers and was instead designed for developers to play around with. Those developers were able to use sensors that tracked blood pressure, skin temperature, sweat production, blood volume, heart rate and more. The Simband was considered a reaction to rumors the Apple Watch would be a revolutionary health device. When that turned out to not be the case, Samsung turned its attention to the Galaxy Gear instead. The Simband isn't dead though, according to Dr. Francis Ho, Samsung's head of digital health. Samsung Innovation and Strategic Center has still been plugging away on the project with researchers and companies for the past couple of years. "We invited researchers to come in and use it to do new kinds of studies," he told us. "So we work with many of these top groups in the world and they use it for everything from autism studies to heart arrhythmia studies." 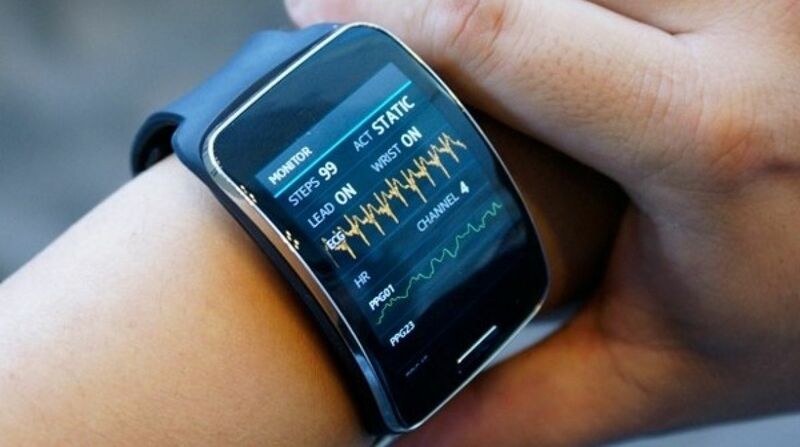 Samsung has also been making investments in digital health to improve upon the Simband. Externally, Samsung has been strategically investing in health-based startups. Internally, it's been developing new technologies for future sensors. Samsung doesn't want to make any announcements yet, but Ho says the company is looking to take ideas from the Simband to build into new commercial products that can health improve health. Voice of The Body 2.0 from ATOMIC D on Vimeo. Samsung still believes in its "Voice of the Body" concept, which wants to make it as easy as possible for the human body to communicate health information to you through sensors. This includes things like your current state of health, but also studying the environment that affects your health, from the food you eat to your sleep quality. Also included in this idea is the idea of helping to predict or detect cancer at an earlier stage to make it easier to treat. It's nice to see that Samsung is still immensely serious in health. It's easy to forget, as Samsung Mobile has taken the lead on wearables with the Gear devices. It turns out another Samsung division, Samsung Innovation and Strategic Center has still been plugging away on the future of wearable health monitoring devices.